Are your kids’ fidget spinners also starting to look like they’ve been through a lot? 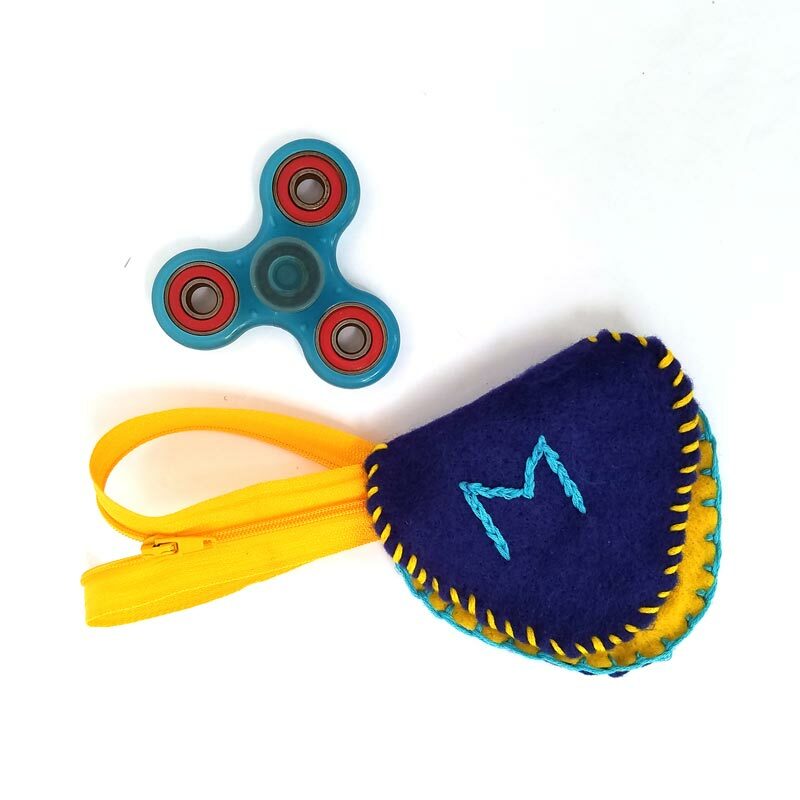 That’s just one of the bazillion reasons I made M this adorable felt fidget spinner case… Disclosure: this post contains affiliate links. I noticed small cracks in it (and other moms told me they saw the same in their kids’). I know it gets dropped a LOT. I knew it would make M super happy…. Baby Y likes to put it in his mouth and yes, it is a choking hazard, even if it’s not labeled as such. While the case isn’t necessarily baby-friendly either, Y is less likely to put it in his mouth. I didn’t have this in mind, but I did notice that M cared for it more and gave it more “respect” since he has a case, so he hasn’t been leaving it around as much. You can resolve this by making your own DIY fidget spinners, but regardless, I love having a fidget spinner case for M’s! 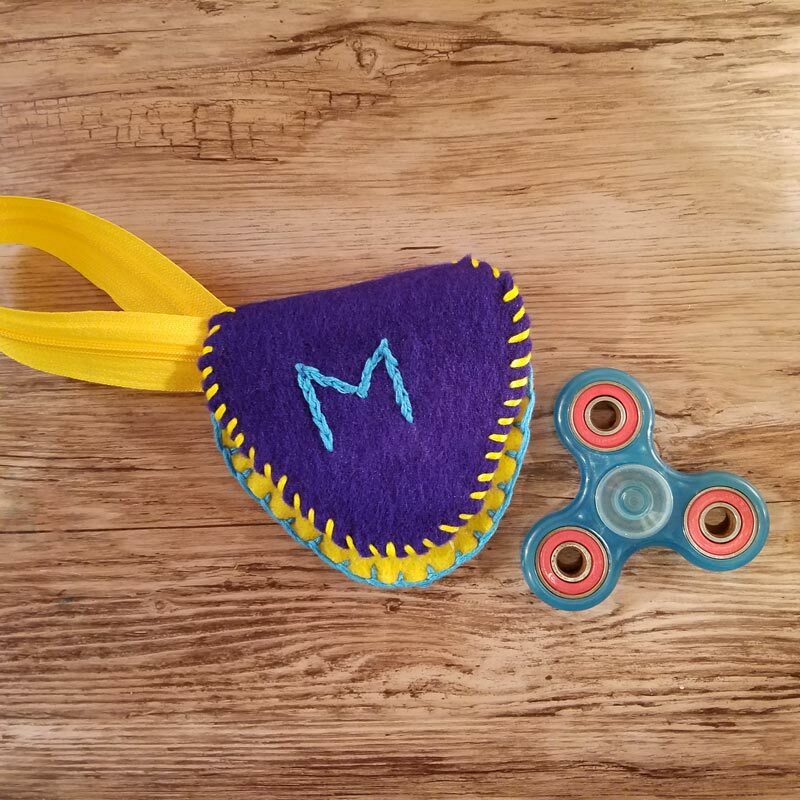 One of my favorite features that I put onto this DIY fidget spinner case is the zipper wrist strap – because that’s also a fidget tool – even more so than the spinner! 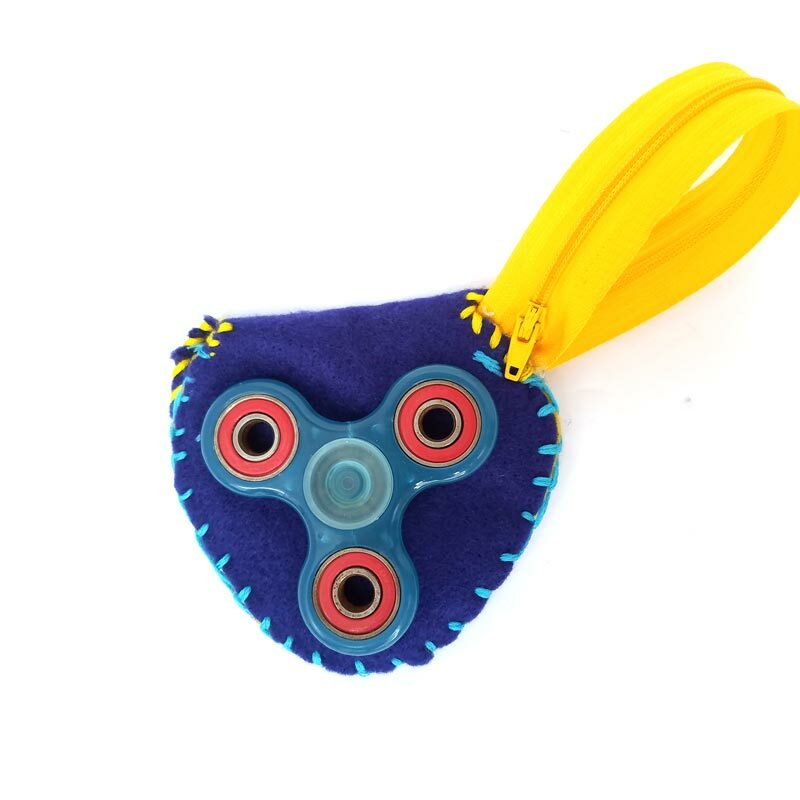 Too be honest, fidget spinners aren’t REALLY conducive to passive fidgeting, they’re more like a yo-yo that gets played with like an active toy. 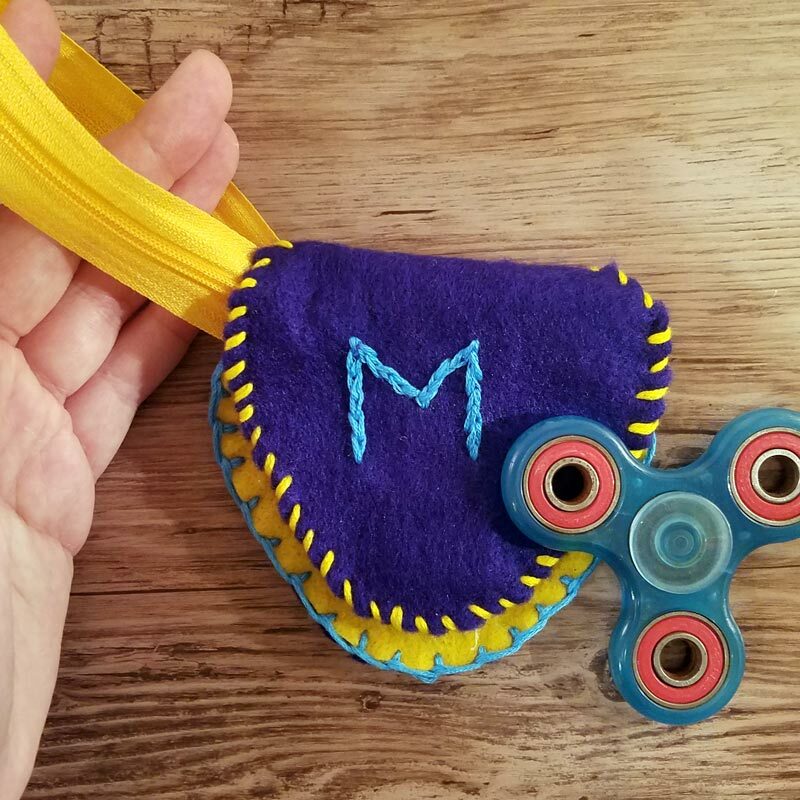 The zipper gives M a real fidget toy to play with attached to his spinner. I had actually forgotten to add the wrist strap that I wanted to put on it, and remembered afterward, and while looking for the ribbon I was planning to use, I bumped into this insane pack of zippers that I love using for crafting. I decided to use that instead and added it afterwards, not embedded into the main seam. 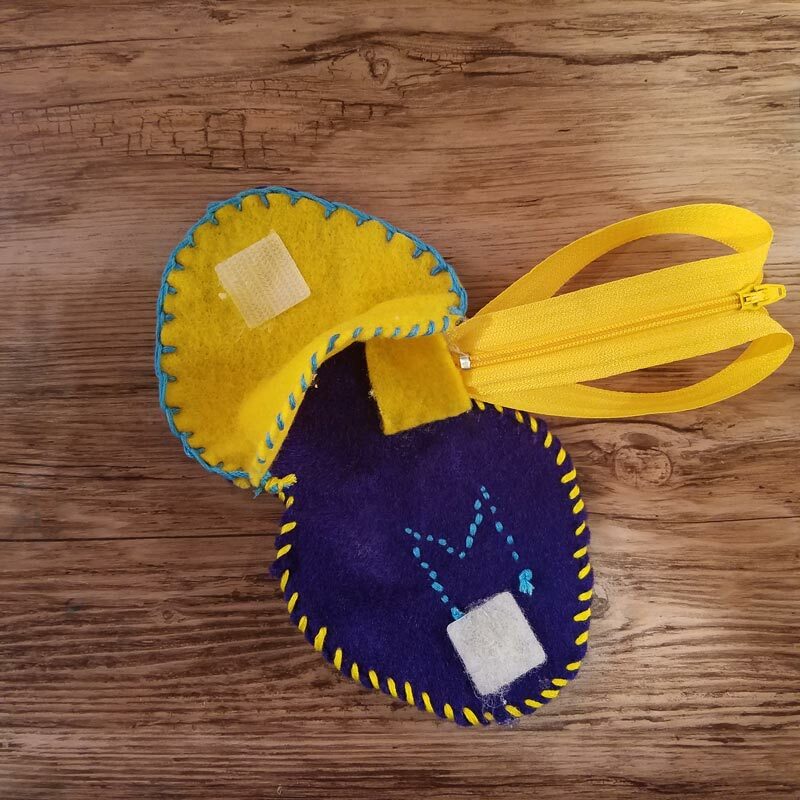 The entire process of making this easy fidget spinner case can be done by a child who’s old enough to handle an embroidery needle. 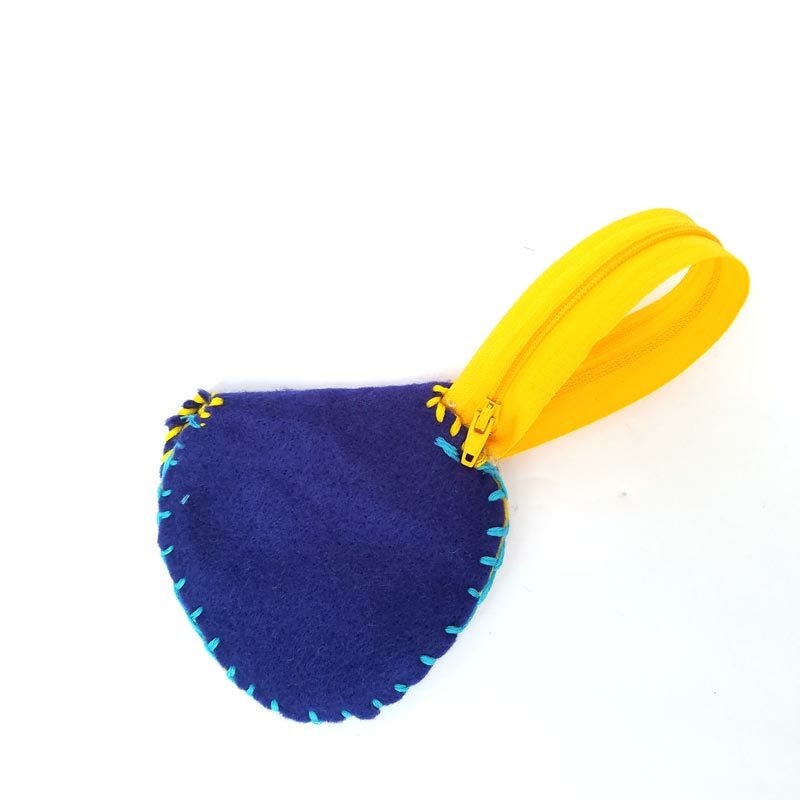 The contrasting color threads add lots of character, and it’s a great way to introduce sewing. Or, if your child is too young, you can make it yourself, as I did. 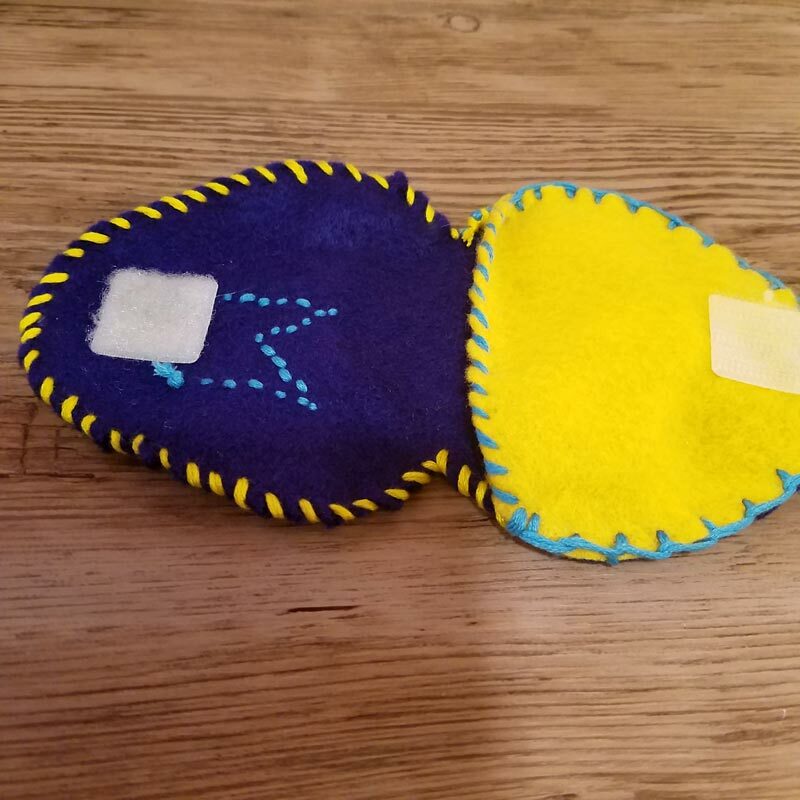 You can even pre-cut the pieces, include the skeins of thread, zipper, and an embroidery needle, and turn these into fun beginner sewing kits – as the simple shapes are perfect for that! 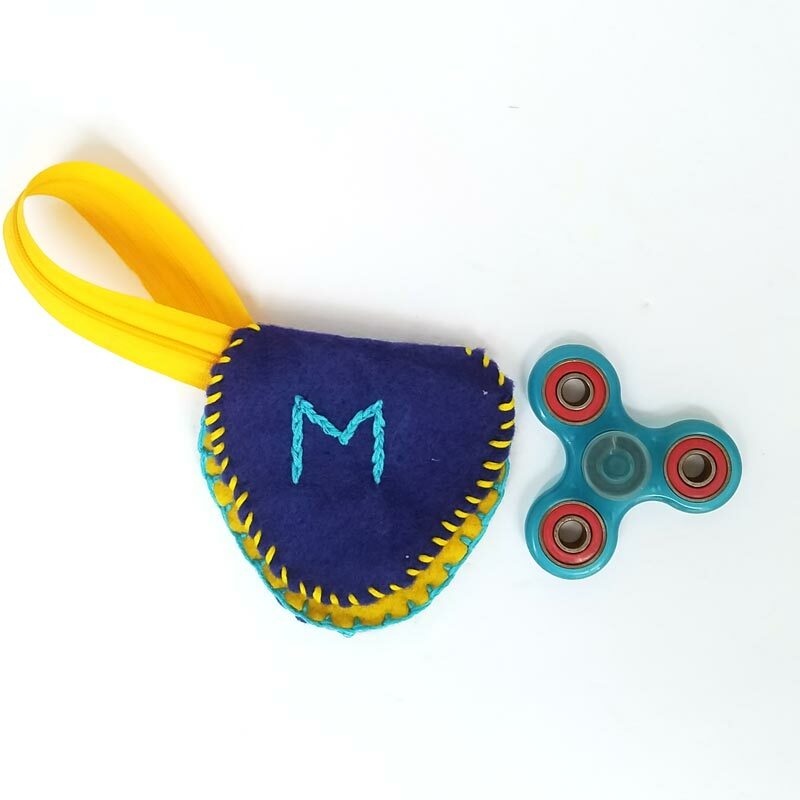 The rounded triangular shape is perfect for the spinner, and M was so excited to have his “triangle case”. I used a hook and loop closure to keep it secure (the Velcro brand one is really strong) and make it easy for him to close. And now for the tutorial! The pattern. Enter your email address in the form below and you’ll get it right to your inbox. A zipper (I have a pack like this that I keep handy for projects like this, where I might need a random color on a whim). Sewing scissors, and I recommend having detail scissors as well. Watch the video tutorial below or scroll down for step-by-step photos. 1. 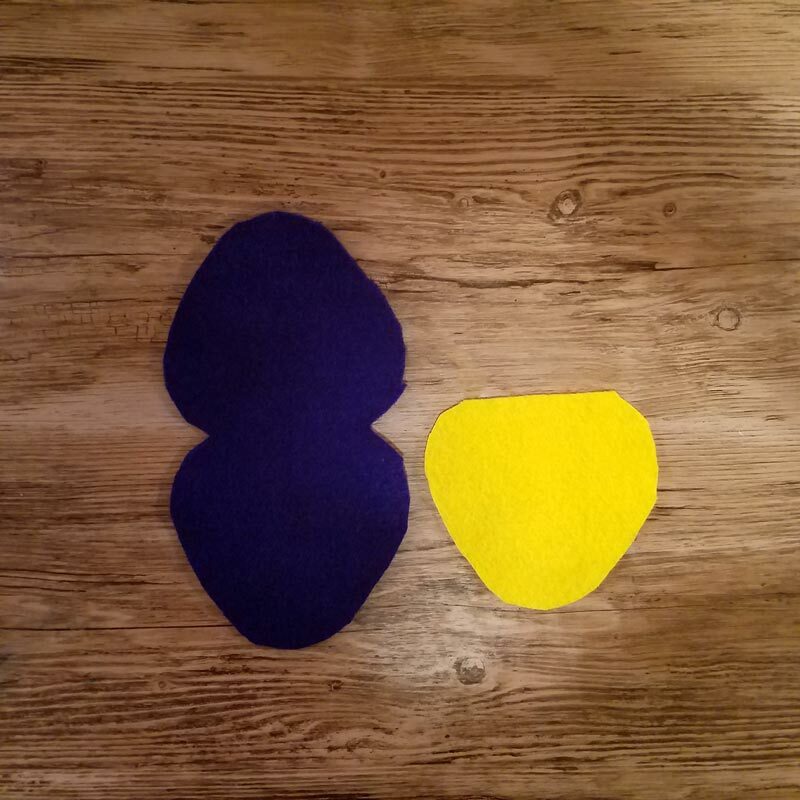 Cut out your pieces of felt as pictured. 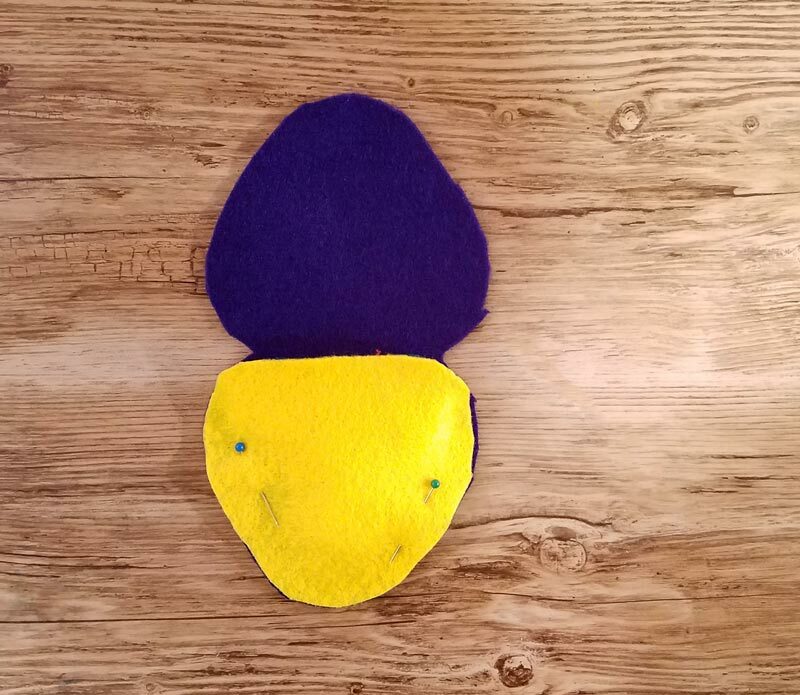 Cut the full template out of one color of felt, and fold the template in half for the second color. 2. Pin the single triangle on top of the double as pictured. 3. 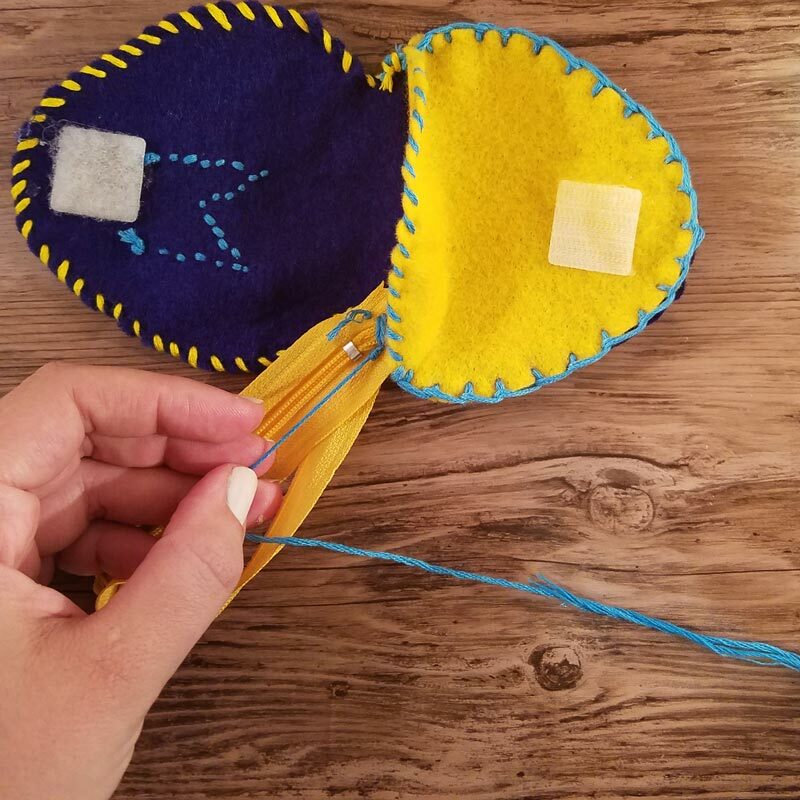 Start sewing a blanket stitch around the edge. 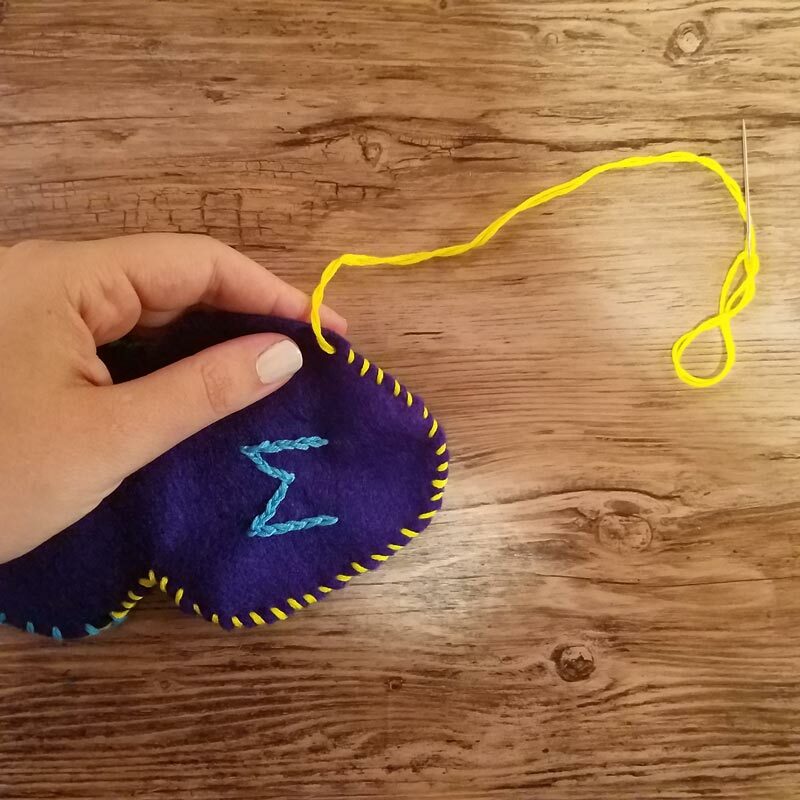 You can do a basic whipstitch but I like that the blanket stitch has that extra security around the perimeter. I did use a double thread, since it’s decorative and I want it to show. 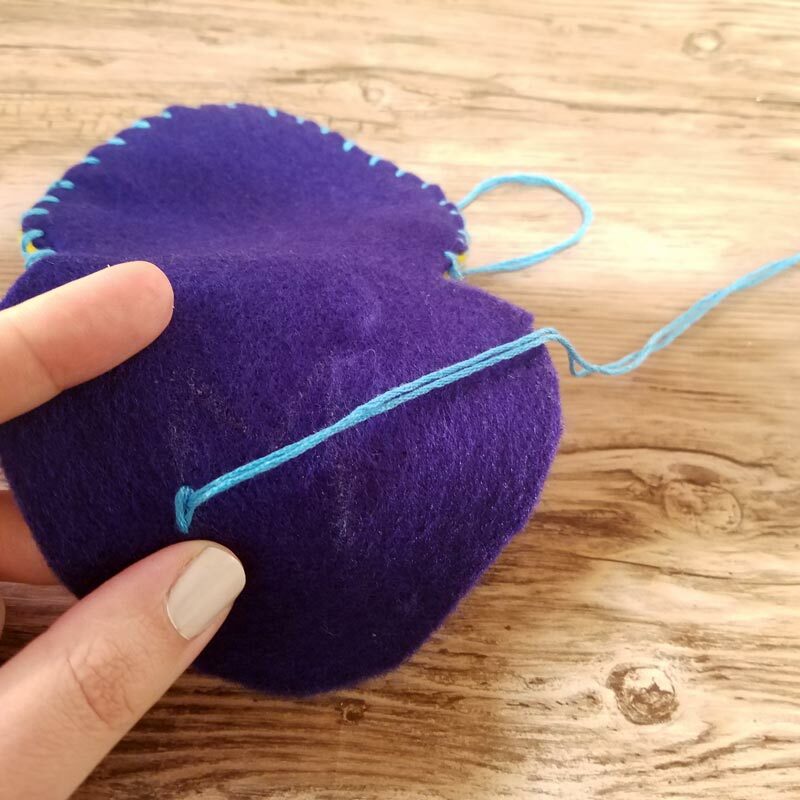 Here is a tutorial for a blanket stitch – you’re basically catching the thread in your stitches. It’s decorative as well as functional. 4. To add an initial (optional): Flip your case over so that the double triangle is face up. 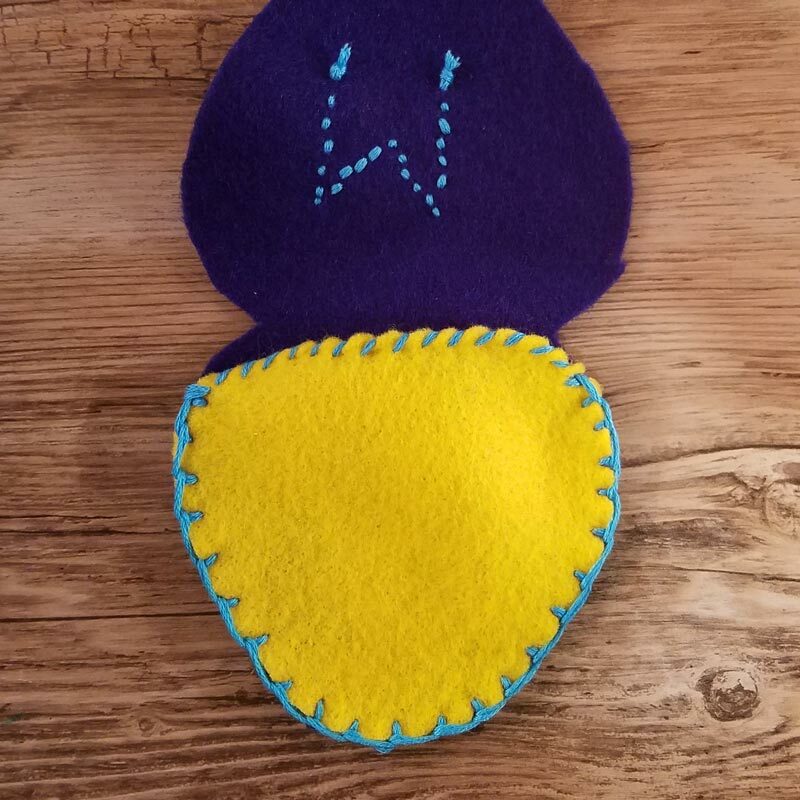 Draw the initial in chalk, light gel pen, or whatever you’d like, on the single layer side that hasn’t been sewn (that will eventually be the cover flap). 5. 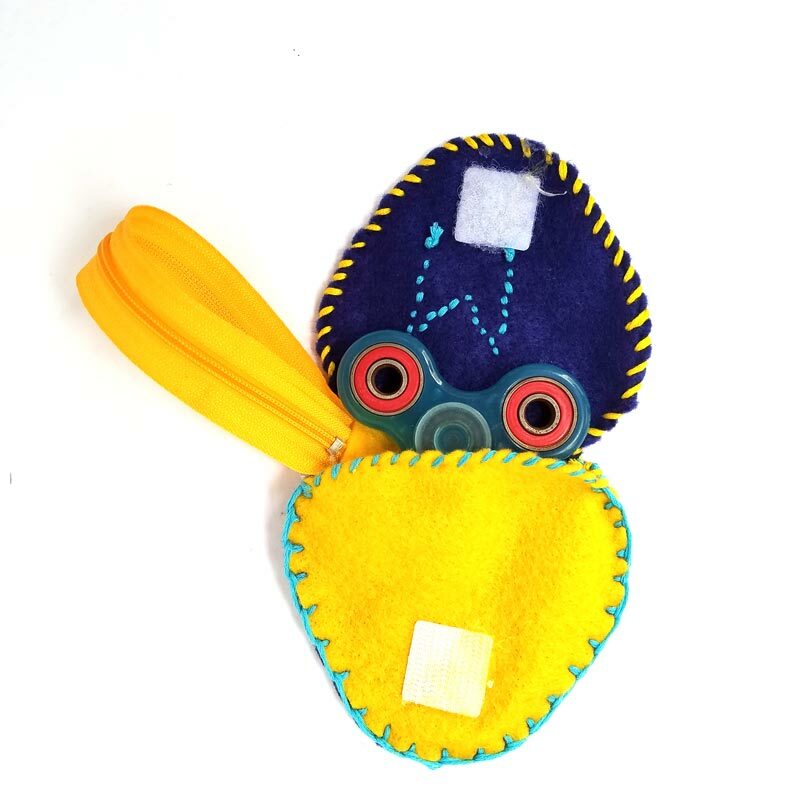 Start embroidering using a split stitch. 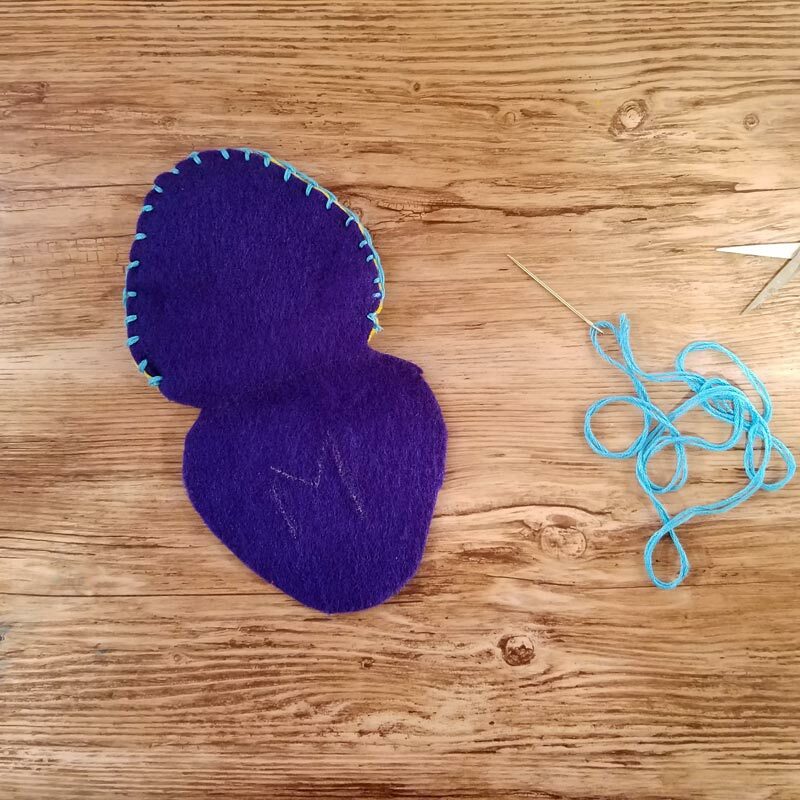 That basically just means that instead of a running stitch, where you continue the next stitch after the last, your new stitch starts in middle of the previous one. This gives it a nice, bold line. 6. The next two steps are totally optional, but add a great decorative element, and serve as a reinforcement for the ends. 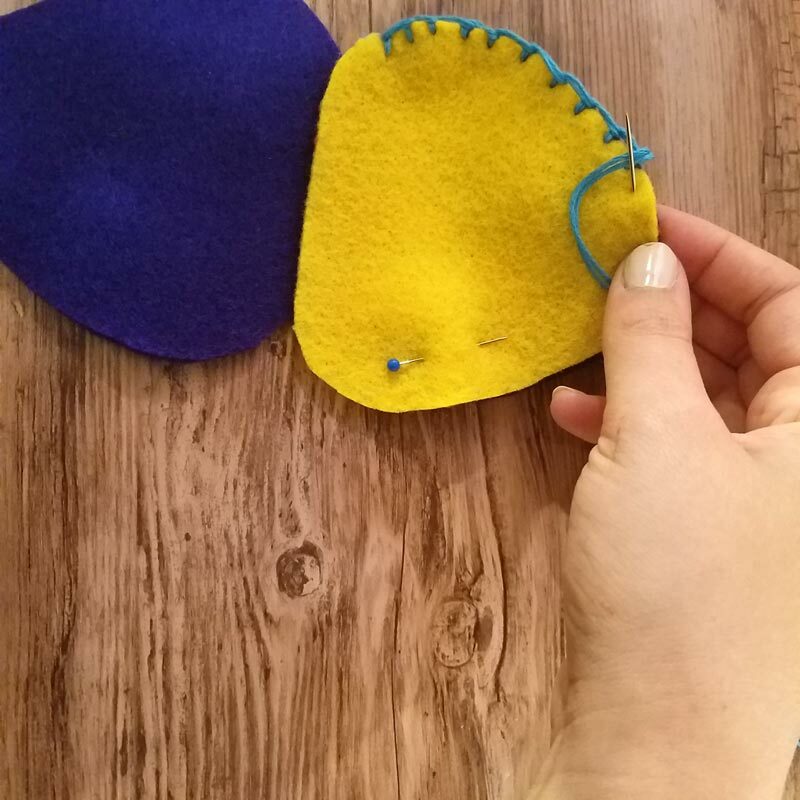 Whipstitch around the top edge of your single triangle in a contrasting color. 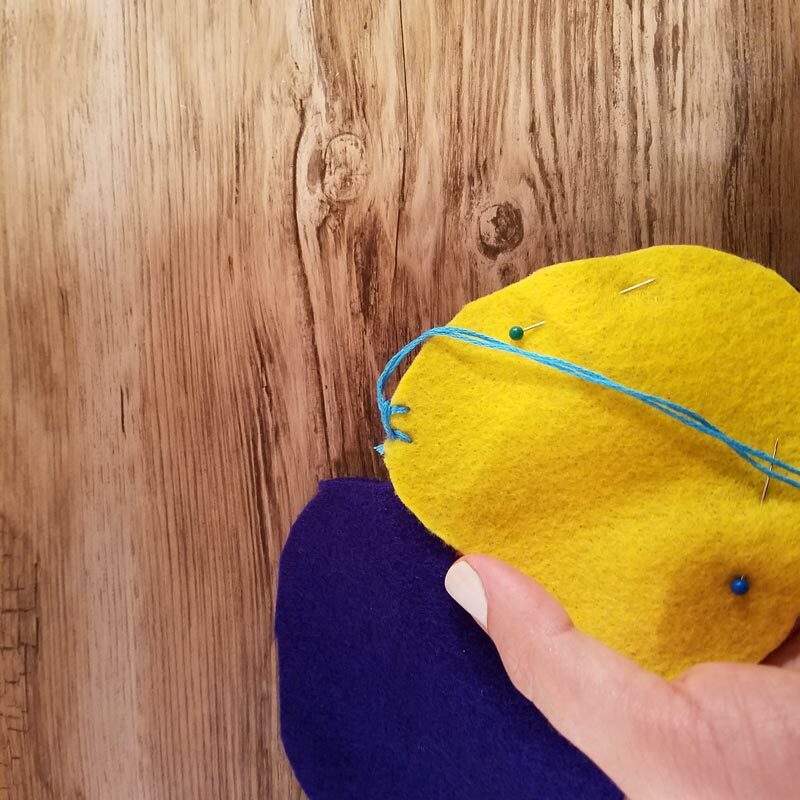 7.Whipstitch around the top flap/ top half of your double triangle that is a single layer, also in a contrasting color. 8. Hot glue or use E6000 to attach your hook and loop closure. The adhesive that might already be in place works mostly for smooth surfaces, so you’re best off gluing it in place to make it really secure. 9.Attach your zipper. Simply double it over and use a few stitches to glue it in the corner, close to where the top flap folds over. 10. Glue a small felt square on top of it to clean it up. And your beautiful, DIY fidget spinner case is ready to use and be toted around!! Got a fidget spinner obsession in your home too? Who do you plan to make this DIY fidget spinner case for? Comment below! 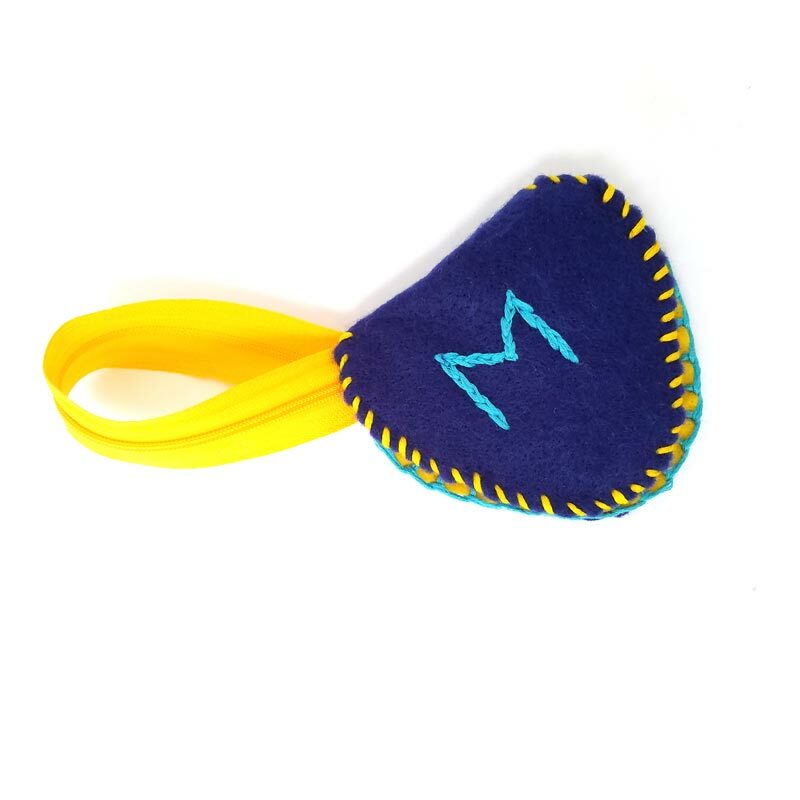 Crafts for Adults, Crafts for kids, Crafts for moms, Crafts for tweens, Felt and Fiber Crafts, Gift Ideas, Kids, Mom Crafts, Preschoolers. Bookmark.